Have you ever dreamed of life in the country? Gorgeous rural landscapes, the sound of birdsong and a beautiful old country residence to call your own… Except your house costs a fortune to heat, has a leaky roof and will take backbreaking work and a fortune to renovate! If only you could enjoy the charm and romance of the countryside with all the modern comforts you’ve become accustomed to… Well now you can! We are delighted to introduce our latest development, Rydal Manor Gardens, a stunning collection of new 9 contemporary homes in Eye Kettleby, near Melton Mowbray in Leicestershire. These brand new 2, 3, 4 and 5 bedroom homes each feature their own design that perfectly blends traditional and contemporary features. This development would be the perfect location for buyers wishing to enjoy a village lifestyle whilst living in close proximity to Melton Mowbray (2 miles) or indeed the cities of Leicester (17 miles) and Nottingham (20 miles). Melton Mowbray is a traditional English market town that is best known for its artisanal foods and farmers’ markets; the perfect setting for a Saturday morning brunch or a Sunday afternoon stroll. Leicester and Nottingham are also close by and easily accessed by road or public transport, offering you all the amenities you’d expect from major cities including designer shops, restaurants and cultural venues. 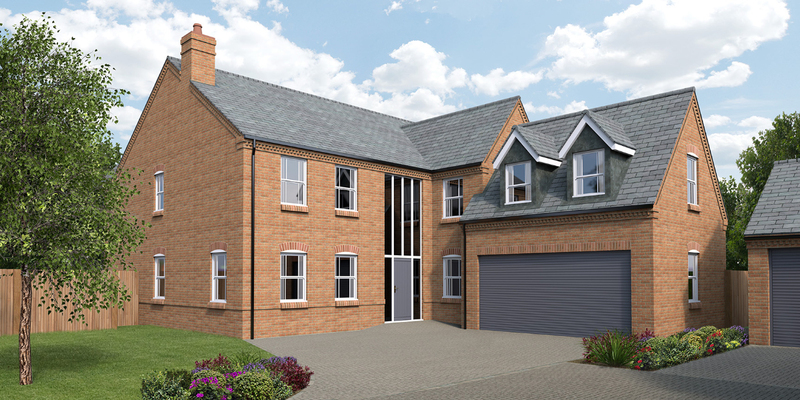 As well as looking great, the homes are being finished to an exceptionally high standard. All come with state-of-the-art features, including Neff appliances in the kitchens, under floor heating downstairs and a thermostatically controlled central heating system with an A-rated boiler. With just 9 homes for sale, we are currently taking reservations for houses that will be complete by Spring 2019. Call us on 01332 460144 to discover more about this exclusive development.